If there’s anything that all beauty gurus can all agree on, it would be that maintaining a daily skin care routine plays an essential role in order to put your best face forward. Unfortunately, this neccesary routine tends to take a back seat especially when one is always strapped for time. 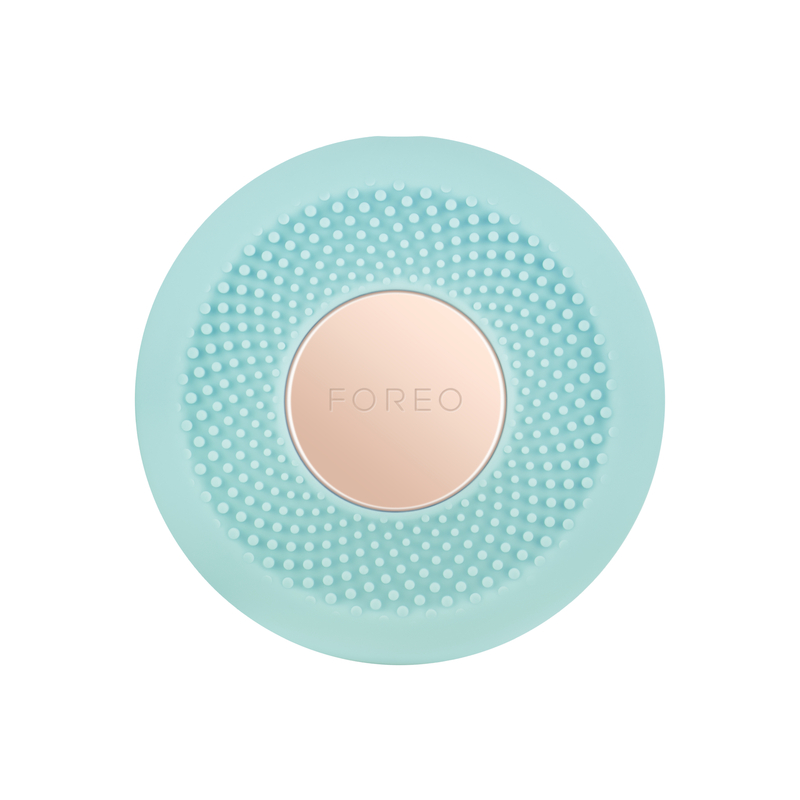 To help busy individuals feel more confident in their own skin, beauty giant FOREO decided to come up with a new device that combines Swedish beauty technology with facial sheet masks. This niche beauty trend which began in Korea has become a worldwide phenomenon in recent years with prominent beauty brands in the West introducing their own facial sheet masks just to cater to growing demand. 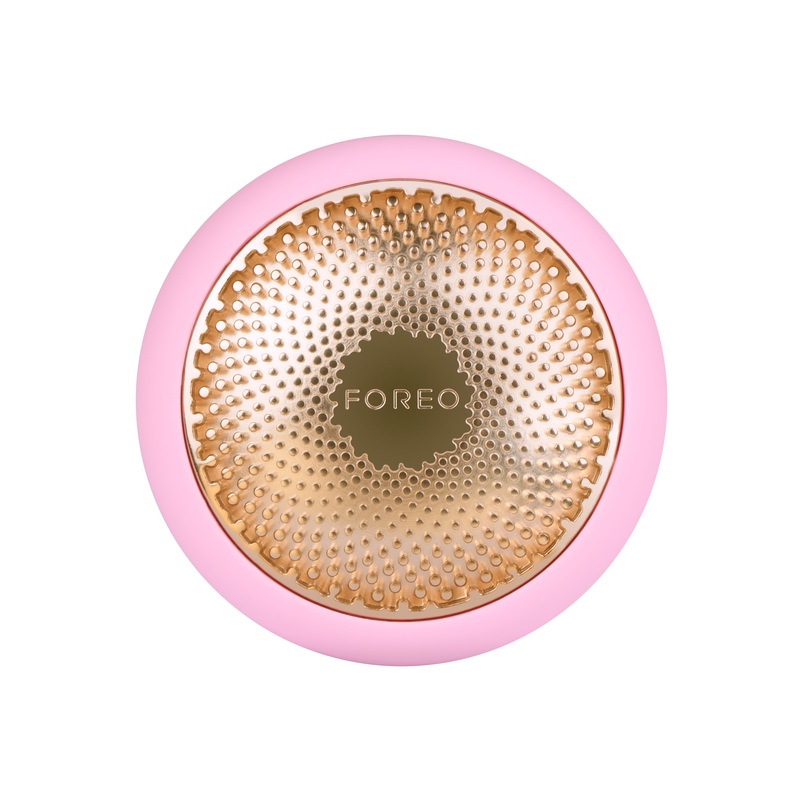 After four years of extensive research, FOREO was eager to reveal the world’s first smart mask device: the UFO. An acronym for “Ur Future Obsession’, this handheld beauty gadget made its big debut during CES 2018, an annual event for developers to showcase their latest technological and electronic innovations. Promising a sublime facial experience in a mere 90 seconds, the UFO immediately piqued the interest of distinguished members in the beauty community. By the first day of the expo, the company raised an astounding USD $500,000 in pre-orders while also racking up the Editor’s Choice and Best of CES 2018 awards. Fast forward to April that same year, and the FOREO UFO had officially invaded just about every retail platform across the world. While using sheet masks isn’t exactly rocket science, the makers behind UFO aim to transform this mundane experience by offering treatments found at expensive skin care centres such as hyper-infusion, T-sonic pulsations, cryotherapy and LED light therapy in just one handheld machine. 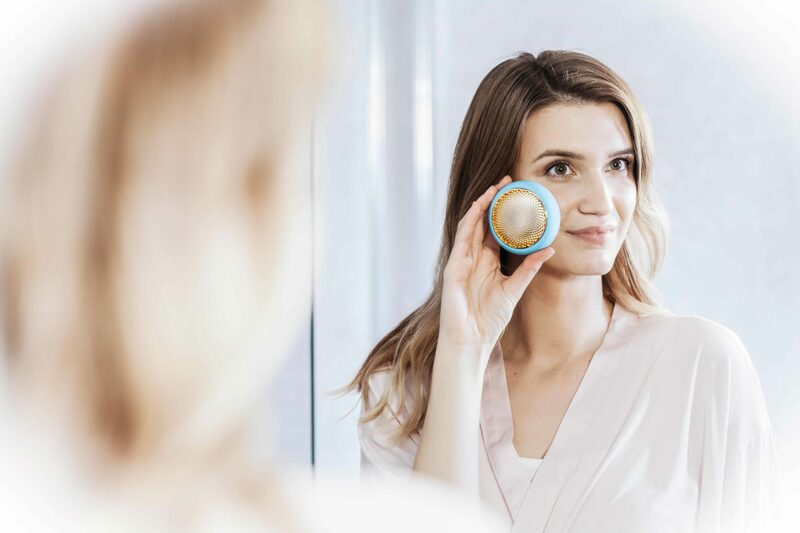 With that as a selling point, it didn’t take long for online beauty gurus to start scrambling to get their hands on this coveted beauty gizmo. As with all items that belong under the IoT category, activating the UFO requires downloading an app and submitting a few particulars. Once paired with a handphone, the app will recommend a specially formulated UFO activated mask designed to suit for your skin’s individual needs while diminishing the appearance of pores and reducing puffiness. Available in five variants, each mini disc-sized mask packs a powerful punch by offering skin nourishing ingredients which activate by working in sync with the UFO’s heating, cooling and pulsation technologies. Secured using a transparent attachment ring, these micro-fibre masks come with pre-programmed steps that can be downloaded to the app by scanning the unique barcode located on the packaging. 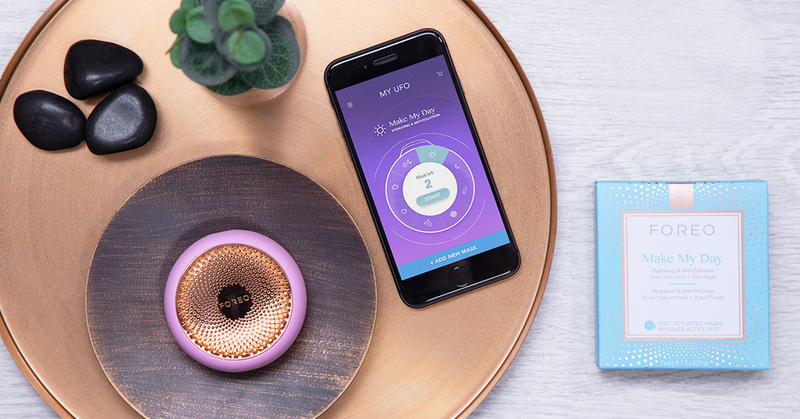 For first-timers unfamiliar with FOREO’s extensive range of futuristic devices, using the UFO does take some getting used to. But once you lay back and start gliding the device across your skin, the only thing left to do is relax for the next 90 seconds while the UFO does its magic. Cleaning up is just as easy thanks to the UFO’s soft, ultra-hygienic silicone body which comes in fabulously fun shades of fuchsia, mint and pearl pink. Simply detach the transparent ring to dispose of the used mask and rinse off any residual mask essence under cold running water. While the UFO might not exactly make you completely give up on indulging in fancy facials any time soon, this easy beauty pick-me-up certainly goes a long way in helping you look more refreshed and well-rested in a jiffy.